Beer is rich in antioxidants and amino acids. Thus, it is beneficial for maintaining gorgeous skin and lustrous hair. 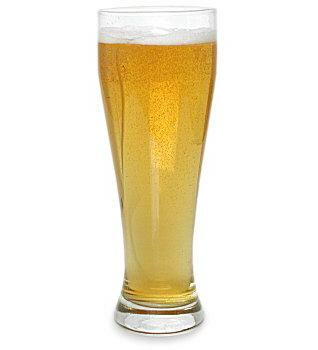 Beer contains protein and B vitamins that boost hair growth and help repair damaged hair. In adds volume and shine to your hair. Moreover, brewer’s yeast, that is used to make beer, is considered good for acne treatment as it lowers sebum production and kills off bacteria associated with acne. Plus, it makes your skin smooth and moisturized. You can try various beer beauty masks to get clear skin. • Prepare a paste by mashing up two strawberries and adding a few drops of beer. If the mixture is runny, mix cornmeal or rice flour in it. Apply this easy homemade beauty care recipe on your face and neck. After 20 minutes, rinse it off and follow up with a toner and moisturizer. • Blend one teaspoon each of plain yogurt, sweet almond oil, extra virgin olive oil, lemon juice and a tablespoon of beer in a blender. Wet your face and apply this mixture for about 15 minutes. Finally, wash it off with cold water to get glowing skin. • Regularly use a combination of one teaspoon each of lemon juice, honey, olive oil and a few drops of beer to make your skin clear. • Prepare a moisturizing skin care facial mask by mixing two tablespoon of beer in a cup of boiled sweet potatoes (mashed). Leave the mixture on your face and neck for 15-20 minutes and then, wash it off. Finally, use your regular toner and moisturizer. • You can take a marvelous, skin softening beer bubble bath by soaking in bath water mixed with unscented castle soap and beer. • Get shiny locks by rinsing your hair with flat beer after shampooing. Wash it off with cold water, condition your hair, and then, rinse with a solution of four cups of warm water mixed with a teaspoon of honey. To get flat beer, either leave the can open for around eight hours, or warm it on the stove or in microwave. • Prepare a simple hair conditioner at home by combining a can of flat beer, a cup of warm water, and a teaspoon of olive oil. Leave it on your tresses for about five to ten minutes and then, wash it off with cold water. You can add beer in your shampoo, too. Here’s video showing how to make a beer conditioner using mayonnaise, beer, and eggs. • Add two teaspoons of apple cider vinegar, an ounce of distilled water, and seven drops of lemon essential oil in an ounce of beer. Apply this solution on your hair after shampooing. Use this hair pack once a week. You can also add mashed avocado (half), three tablespoons of honey, and plain yogurt in this recipe. Mix a few drops of essential oils like that of rosemary, thyme, calendula, and so on to prevent hair loss and stimulate hair growth naturally. • You can also prepare a solution of beer and apple cider vinegar mixed in equal parts. Use it as a conditioner by pouring half or one tablespoon of this mixture in a pint of water and rinsing your hair with it as the last rinse. The unpleasant smell shall disappear after a while. Both these ingredients help disentangle long hair.